There were two books released in 2018 that I was insanely excited about. One was…ahem…well, you know. But the other might have edged out my excitement just a tiny bit more, if for no other reason than the cover doesn’t make me dizzy if I stare at it too long. 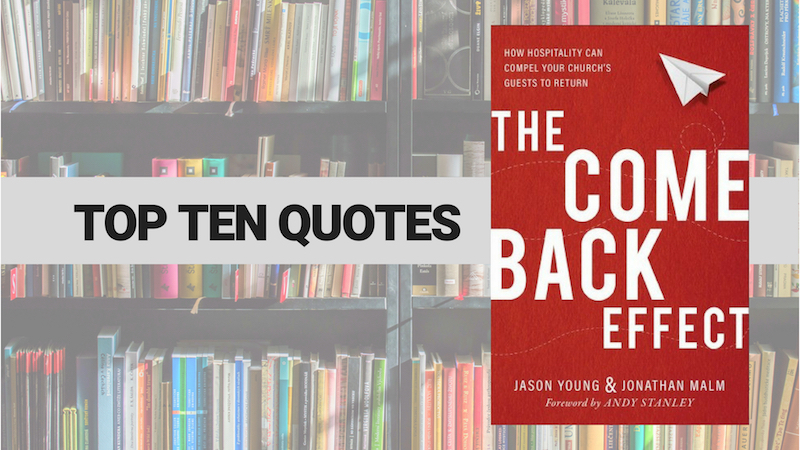 When my friend Jason Young told me he was co-authoring a new book on guest services with Jonathan Malm, I instantly knew it would be good. I pre-ordered as soon as I found out it was available. I anxiously awaited last Tuesday’s release date. I even survived a one-day delay because the card I used for pre-ordered had since expired (#thirdworldproblems). But once the mail came on Wednesday, I kicked back and prepared to soak in wisdom from The Come Back Effect. I devoured the book over the next few days, and when I was finished, I realized I had one big takeaway: I love our guests now more than I did when I started reading. I think if there’s a compliment to be given a guest services book, that has to be it. Jason and Jonathan re-ignited and re-centered my love for people by helping me remember God’s love for them. I was ready to start weekend services early so that we could be ready to roll out the red carpet and invite people in. Church leader, church volunteer, business owner, Libertarian blue-eyed dog walker: you need this book. As for me, I’m going to be ordering copies for our guest services staff and some key volunteers, because I believe this is an important work. You will, too. No matter how over-the-top your service, if it doesn’t connect with the emotions of the guest, it isn’t hospitality. Brokering the experience for the guest is about sheltering them from the emotion. It’s jumping in front of the uncomfortable bullet and absorbing that so the guest doesn’t have to experience it. 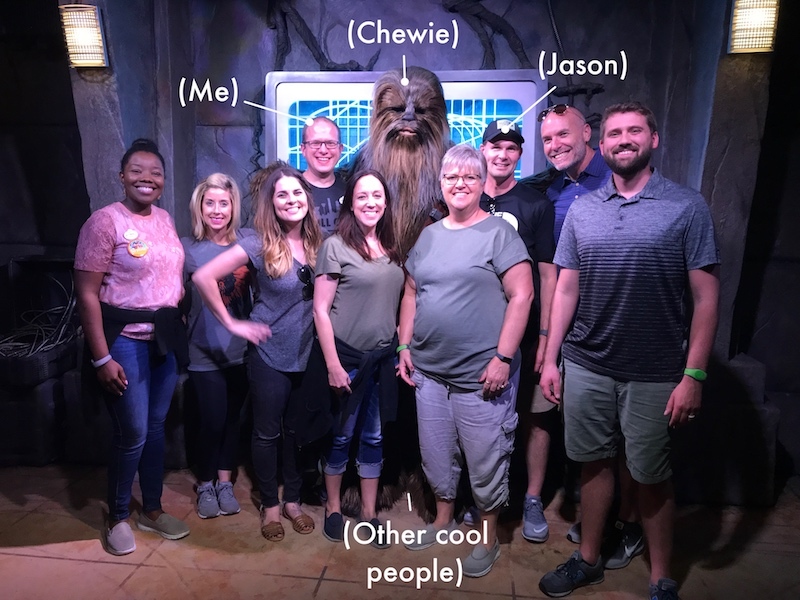 When a value is strong within your organizational culture, it’s no longer about a function [“This is what we do.”], it’s about an identity [“This is who we are.”]. It’s about an identity of empathy. So often in our ministries, we think we’re designing an experience for a guest, but we’re really designing it for ourselves. We’re designing it for regular attendees like us. Or worse, we are trying to create an experience for everyone, which means we create an experience for no one. Every church is glad that a first-time guest chose to visit. That’s nothing remarkable. But not every church is able to make that guest feel comfortable when they are there. And that’s what a first-time guest truly values. Some people don’t want to have to talk to someone or shake someone’s hand on their way to the restrooms. Some people don’t want to deal with a gauntlet of greeters before they find the safety of their seat. Structures we create might be the very thing adding difficulty to the story. The goal is to keep the guest from even having to ask the obvious questions. Sure, there will always be random questions that are impossible to anticipate. But when you are quick enough to provide the answers that you can anticipate, the guest will feel comfortable asking the ones you can’t. Any time you approach anything in your ministry – especially something for guests – from the mentality of “it’s better for us internally,” you’re communicating something negative to the guest. Three questions will help you find areas where you can improve: What’s worth starting? What’s worth fixing? What’s worth ending? The evolution of significance in each team member should look like this: They matter in their role. They matter beyond their role. They matter. Order The Come Back Effect.